Relationships are not monogamous until you mutually agree they are. In other words, unless you and a guy explicitly agree that you are not seeing other people, then both of you are free to date other people. This can be intimidating, but once you embrace it, you might find it liberating. After all, it means you can date multiple people. Texting is part of romance. Everyone has a smart phone. Text is how you set up dates. Texting is how you flirt. Texting is how you can express your interest (by responding favorably to said flirts), or disinterest (ignoring said flirts). When we were dating there was no online dating, no date app's to find someone, there was no smart phones,facebook etc. It was either pick up the phone, write a letter or meet face to face. Also, we did live together before marriage but we never slept in the same bed, he lived with me at my parents house, we always had someone home with us which was healthy and kept us inline. In the past, it was customary for couples to court each other, propose, get married and then move in together. Nowadays, moving in prior to marriage has become the norm, especially among millennials. According to Millennial Magazine, couples choose to move in earlier on in relationships for a number of reasons; some reasons include saving money on rent and getting to know your significant other on a deeper level. Many couples also choose to live together to ensure marriage is right for them. In addition, countless millennials believe that cohabitation is an essential step to take before marriage. Two-thirds of adults believe it is a good idea to live with someone before marriage, in line with research done by Barna. From this data, seventy-two percent of millennials were twice as likely to trust that cohabitation is a good idea, compared to thirty-six percent of elders. Boy, how times are certainly changing! Combining finances prior to marriage. Not only are couples moving in before marriage, but they are also beginning to combine their finances. Millennials aren’t finding it necessary to put a ring on it before opening up a joint checking account or racking up points on a shared cash-back credit card with their significant other. For them, merging finances has become the norm in the modern-day relationship. According to Census data, men and women ages 25 to 34 are living with a partner two times more often than twenty years ago.. With that being said, this often means unmarried couples are not only sharing the keys to an apartment, but are also discussing how to budget; this dictates who takes care of certain financial responsibilities and holds one other accountable for joint expenses. Looking at engagement rings together. Traditionally, this momentous occasion would begin with one partner dropping hints about wanting to get married. Meanwhile, the other partner is purchasing the ring and planning to propose alone in a romantic, meaningful setting. Today, the element of surprise has dwindled, with couples browsing for, picking out and even purchasing an engagement ring together. According to The Knot 2017 Jewelry & Engagement Study, thirty-three percent of couples shop for their engagement ring together. Traditionalists might find this particular case bizarre, but, eighty-nine percent of grooms are pleased with their partner’s level of involvement in the purchasing process. Naturally, this means more brides will know how much their ring costs, which also doesn’t seem to bother the groom. It is said, on average, a person will spend 3.5 months looking for the perfect engagement ring, and will look at 26 different rings before purchasing;, so no wonder they look to their partner for help! Online dating taking the forefront. It is no secret that online dating has changed the way couples meet. In fact, today, nearly half of the public knows someone who either uses online dating or has met their partner via online dating. 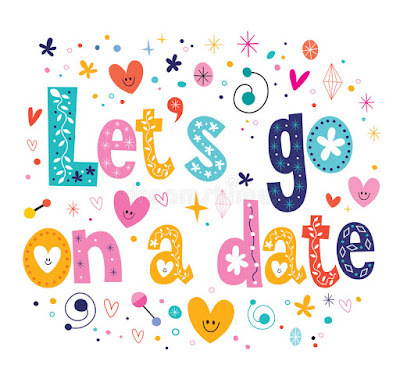 With all of the proven success, positive attitudes toward online dating have certainly skyrocketed over the years. The Knot’s 2017 study, previously mentioned, showed that nineteen percent of brides reported meeting their partner through online dating and social media. Also, according to Pew Research, the share of 18- to 24-year-olds who use online dating has roughly tripled from ten percent in 2013 to twenty-seven percent in 2018. One factor behind these stats has a lot to do with the use of mobile dating apps such as Hinge and Match.com. Regardless, the times of hoping to run into your soulmate by chance have taken the back seat as online dating progressively takes the reigns. The dating scene has changed for sure over the years. One thing is for sure, if you are going to date someone online, or go on dating sites please stay safe!!. We all have those days where you don't want to get out of bed, or if you do, you find yourself wanting to fall asleep at your desk. However, if you find that happening every single day, then there's a chance that it might be a sign that something a little more serious is going on. After all, feeling tired is one thing, being low on energy every single day to the point where it genuinely starts to impact your ability to function is something else entirely! Luckily you don't often have to just put up with feeling that way; there are plenty of things that you can do in order to boost your energy levels and help yourself avoid feeling run down and tired all day. Here are just a few simple things that you can do to give yourself the boost that you really need in order to get through the day. The first thing that you should look at if you're lacking in energy is how much you're sleeping. After all, you're never going to be able to have as much energy as you need if you're only getting a few hours of sleep a night. However, it's often about more than just how many hours you're sleeping. Even if you're getting a solid eight hours of sleep a night, if you're going to sleep and waking up late then that's going to have a major impact on your energy levels. Even if you're not really a morning person, it's always better to get up earlier and avoid rushing around in the morning. Leaping out of bed and rushing out of the house is going to leave you feeling tense and tired for the rest of the day. And here's the most important thing to remember: the snooze button is not your friend! Even if you really don't want to, get up as soon as your alarm goes off. Pressing the snooze button is going to leave you feeling so much worse than if you'd simply gotten out of bed right away. If there's one thing that just about every person in the modern world is guilty of, it's not staying hydrated. Sure, people tend to drink a lot during the day, but they usually drink things like sodas, coffee, fruit juices, and alcohol, all of which are pretty ineffective at hydrating you and many of which can actually leave you more hydrated. We're all pretty familiar with that sluggish, bloated feeling and that often comes from simply not being hydrated enough. Skip the sports drinks and the coffees and go for the one thing that's going to keep you as hydrated as possible. That's right, water. Not only is it the best way to stay hydrated but you'll save yourself a lot of money that you would otherwise be spending on Starbucks and sugary energy drinks. Speaking of which, cutting energy drinks out of your diet entirely is one of the best things you can do. You might rely on the boost they give you but it always comes at a price. As an alternative, consider something like oxygenplus.com. That way you can get the boost you need without any of the unpleasant side effects. One important thing to remember is that your tiredness might be down to more than just your physical symptoms. If you’re starting to feel like it might be connected to something more serious then make sure to consult your doctor right away. If you are like me and life is so busy, you hate to book appointments out of the office that are not work related during the day, when you realize you can book an appointment to see a psychiatrist online, right thru your phone, or computer, while you are sitting in your pj's and this would make your life so much easier. Typically, when someone looks for a therapist in their local area, they have little to go on unless someone they know is already in therapy with someone they would recommend. More often than not, the insurance company gives you a small list of providers from which to choose. Since online therapy is affordable without the help of an insurance company, you have total freedom to choose any of the therapists available. 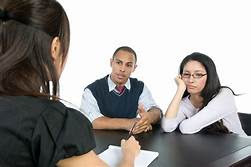 If you think you've found a therapist that would be a good fit for you but you just aren't sure, you can have a first session in which you can take them for a trial run. Because you aren't using insurance, there's no paperwork or re-approval process to go through if you decide that therapist isn't for you. All you have to do is choose another therapist and set up another appointment. Although psychologists are experts at steering conversations toward therapeutically productive areas, it really is quite difficult to fill an entire hour with significant insights into your mental and emotional state. Online therapy short-circuits this waste of time by allowing a single therapist to handle several clients simultaneously, without neglecting any of them. Communicating in this way means that you will not always receive a response in real time, but this is rarely a problem. A decent communication lag allows you time to think about all you've said and heard in this ongoing conversation, which makes therapy all the more effective. Surprisingly, considering the length of their training, most counselors tend to specialize in only one or two areas: family counseling, treating addiction, healing depression or any of several others. However, it is quite common for a person's mental health issues to span more than one of these categories. Using online therapy means that you can see two counselors as easily as one to address different aspects of the issues you may be dealing with. They may, at your discretion, compare notes with each other, or be completely unaware of the other's identity. When you choose an online counselor, you can decide the frequency and duration of treatment. You can have sessions weekly if you like, or stick with a semi-monthly schedule. There's no insurance company involved that might tell you that you can't continue therapy as long as you like. If you solve one problem and move on to another, there's no one telling you to get another approval letter. On the other hand, if you want to have a few sessions to deal with a specific issue, you can do that instead. You don't have to explain your choice to anyone or beg them to agree. You are totally in control of how long you stay in therapy. When you engage in online counseling, you never have to divulge your identity to anyone. Not to your therapist, an insurance company, or anyone else for that matter. This gives you an amazing level of freedom to talk about anything you like. You can tell the counselor your darkest fears, your most disturbing thoughts, your secret pleasures, and your fondest desires without worry of being exposed. What you might not realize is that others have similar thoughts and feelings but just never tell anyone. As an online counseling client, though, you can discuss them and learn to overcome their power over you. Often, people decide to go into counseling and never make it to their first session. What usually happens is that they make the decision in a moment of clarity, but by the time they wade through all the red tape and wait for the therapist to have an opening, they've lost their momentum. With an online psychiatrist or counselor, you can make the decision now and follow up with a first session in very short order. Why wait? After all, it's your mental health at stake. Very little else is as important to your well-being and success. The sooner you reach out for help, the sooner you can find healing and peace. Even better news is that once you make that first courageous step, continuing in counseling may be easier than you ever thought possible. Orthodontic problems need to be addressed properly in a timely fashion, because they can have a negative effect on your overall health if you leave them untreated. It’s vital that the symptoms of orthodontic problems are discovered early, so that they can be dealt with as soon as possible and prevent more serious deformations and damages. So, if you notice some of the following symptoms, make sure you make an appointment with the local orthodontist immediately. trauma to the front teeth will increase. In case of an injury, you’ll be at much higher risk of fracturing the front teeth. Veneers, crowns, and cosmetic fillings won’t last long unless you treat an overbite problem. 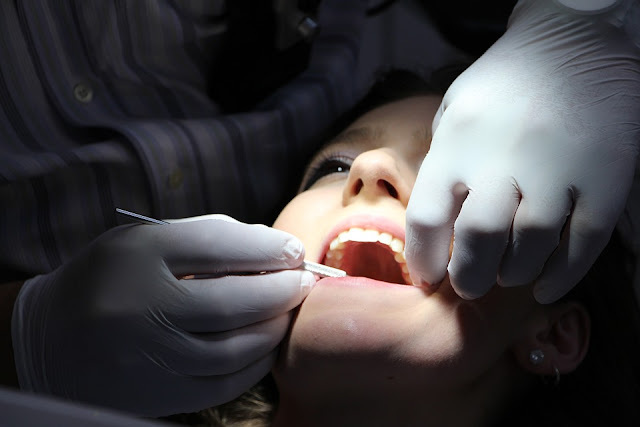 quickly and make an appointment with the local orthodontist in Bondi Junction. you can turn to for consultation and treatment. Gum disease, bad breath, and bone loss are some of the more severe oral problems that can also arise, unless you treat your crooked teeth promptly. 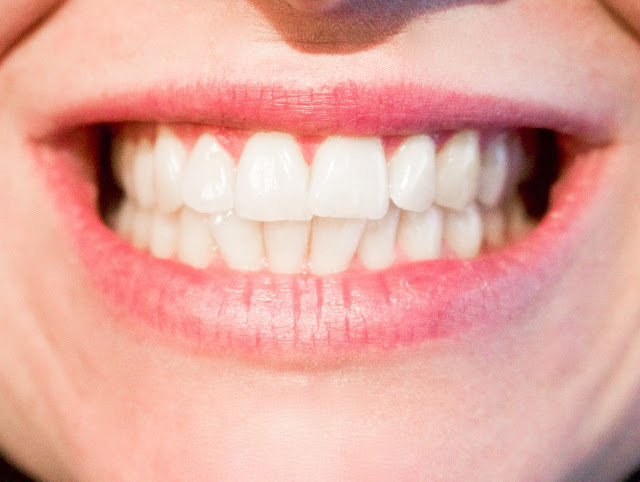 When your lower teeth extend past the upper teeth after you bite down, it results in underbite. 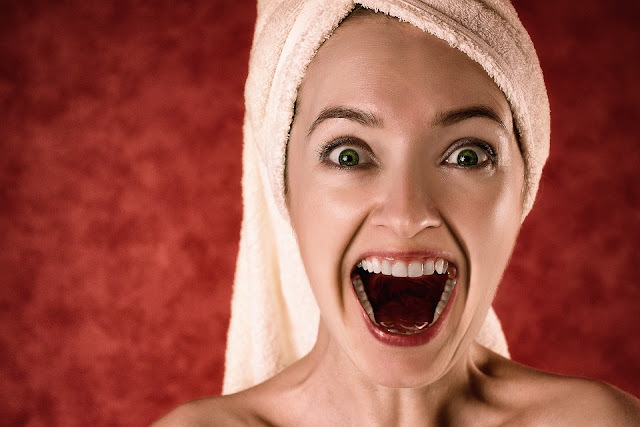 Disproportionate jaw size is usually the reason behind this problem, and one of the possible side effects of an underbite is an imbalanced facial appearance. Also, if you leave this problem untreated, you may experience accelerated facial ageing and difficulty biting and chewing. Jaw misalignment can also cause tight and strained muscles, which will lead to frequent headaches. An abnormal bite in which the front teeth don’t touch is called an openbite. A difficulty in biting and speech problems are just some of the serious issues an openbite can cause, so it’s vital that you make an appointment at your orthodontist if you notice you can’t bite and chew with ease. 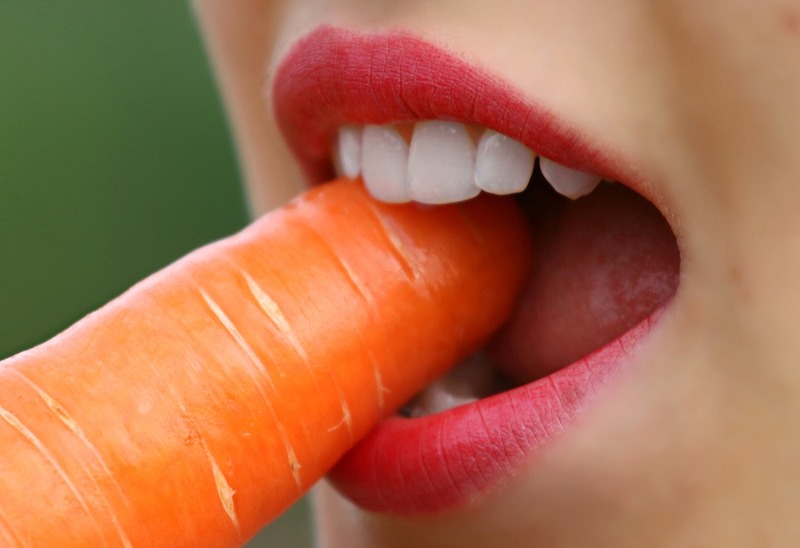 precisely because if your teeth are not healthy, they’ll affect the health of your entire body. Marriage is near and dear to my heart as you all know if you have been reading here for some time. I have been married for 16 years and to be honest not every day is great, but at the end of the day I am glad to sleep next to him. My heart breaks when I hear of friends or family separating after they have been married for years and years. I know not every marriage will work out, but I am a firm believer that marriage takes work, it isn't just "run when it gets bad" or "I want to find someone with more money" no you work on your marriage. I truly believe that marriage counselling can also help any marriage as long as both people are willing to work on it, I have a friend right now who is dealing with a husband who lies, cheats, etc and she asked him to do counseling and he refuses because he does not think he has an issue, it's her, Marriage is not a one way street, it is 2 people who have to be willing to do counseling together, sure that may come with some personal one on one counseling as well as recommended by a Dr but if one person will not commit, how can it work?" When couples choose therapy, this is a good sign that they value their marriage and wish to preserve it. 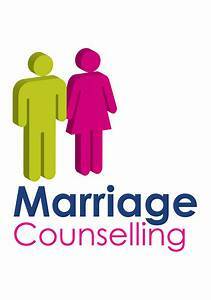 However, counseling can only work if clients enter a therapeutic alliance with not only the counselor, but also one another"
If you needed to save your marriage, would you do counseling? Whether you love cooking or hate it, the kitchen is where it happens and this room is often a hub for the family to gather. It does not matter if they are sitting around watching the cooking in progress or helping to get it done, for some families they spend more time together in the kitchen than any other room in the house. It needs to be fit for the purpose it was meant for, and if it has a few seats and a table, all the better. Sometimes people opt for barstools, like the ones at http://www.sunpan.com at the side of a work surface, and that works just as well. What else is there that you can do to make your kitchen as functional as possible? If you have the room a kitchen island, like the one at https://www.wayfair.com/fkitchen-islands is a brilliant way to add extra work surfaces for preparing or cooking food. The big advantage over fixed counters is that you can access them from all sides. This also means that people can be sitting one side on their bar stool, while you are working at the other. That helps to create a better atmosphere in your kitchen. Most of us at some point have seen a child have their fingers shut in a kitchen cupboard door or a kitchen drawer. You may even have done it yourself. If they are ones they automatically shut quickly, it can happen often and be very painful, especially for tiny hands. You can buy slow close drawers, and it is no surprise that they have become very popular. Not only is there less likely to be an accident, they extend the life of your drawers because they do not create so much wear and tear. Having your appliances integrated into your cupboards is not only visually appealing, it can keep the dials and knobs safe from prying little fingers. Fridges, washing machines, tumble dryers and dishwashers can all be hidden in cupboards and not mess up the style of kitchen you are trying to create. The simpler you keep your kitchen the easier it will be to clean and maintain. Have work surfaces that are smooth in a color that show any marks so you see them right away. Don’t have grain-finished cupboards, as stains will be much harder to remove. Smooth work surfaces and cupboards are not only easier to clean, they look good as well. Smaller kitchen appliances just need to be moved all the time when you are cleaning, so use your cupboard space wisely and put things like food mixers, mincers and bowls away. Only bring them out when you need them, and keep your kitchen surfaces as free of clutter as you can. Of course there will always be some things that stay out like kettles and coffee machines, but they are generally used quite often and are easy to move to one side while you clean underneath them. Gather round the table and enjoy. By old decor, we don’t mean something that’s necessarily a few years old. Old decor could be something that you’ve had for a year or less, because to you it is going to be old news. But in your home, you’re not going to want anything that’s old news. You’re going to want fresh, exciting, and something that you can feel you’re proud of. But then you need to have a think about what decor you’re going to like. Are you going to refresh it by going for something exactly the same, or are you going to refresh by going for something that you wouldn’t usually go for? Whichever one you choose, it’s time to get your DIY gloves on, and give your home that refresh that it must be crying out for. Here’s a room by room guide, with a few different tips that we think you might like to use. We want to start with the bathroom first, because it is usually the room that’s last the be done. For some reason, the room that’s most easily outdated quickly, is the last to be decorated first! However, when it does come to the time where you can decorate the bathroom, it’s so easy to bring it up to a modern day standard, making it look and seem amazing. One theme we really want to talk to you about today is the spa theme. Everyone loves a bit of a spa day, they’re just so relaxing, so imagine being able to recreate this feeling in the comfort of your own home. If you want to achieve the spa look, there’s a few things that you can do. The first involves making the room as dark and mysterious as possible. Sticking to darker colour styles, preferably ones that look like stone, or even are stone, would be perfect for this. To make sure the contrast of the dark tiles and the bright lights isn’t too much for you, make sure you install a dimmer light so you can change the intensity, depending on how relaxed you want to be. A rainfall shower is definitely a must as well! The rest of the bathroom just needs to be crisp, with perhaps a candle in the corner to treat the senses, Try and stick to a white toilet and sink! The bedroom just has to be relaxing. It’s the one place you’re going to come home to at the end of the day, and think, I really have missed you. Getting the bedroom to be relaxing really isn’t hard, you just have to know what it is to make the room relaxing for you. If it was our opinion, we would advise you the same as we would have with the bathroom. You need to keep things a little darker to induce that relaxation that you’re looking for. When thinking of the bedroom, we would think of colours such as greys, beige, and blacks. You don’t want to paint the whole wall black, but think of going for a nice light grey, with some black accessories, and white furniture, it really would look good. It’s definitely easy for the kitchen to become a little battered. Some heavy duty work is being carried out in there, and the decor is going to reflect that. Whether it be chips in the paint from where pots and pans have knocked it, or from where grease has stained the wall. We don’t have you to do a full renovation here, or things definitely would get super expensive. If you’ve ever wondered, what is my home decor style?, then now is the time to find it out. The kitchen is a hard room to decorate right, and everything has to flow in order to make working in the kitchen easier for you. You might benefit from just simply touching up the paint, and switching up the kitchen accessories that you have. For the paint, we would always suggest something nice and light, such as a white. Some people play with colours in the kitchen, which is fine to do some. You could consider having yourself a little feature wall of a different colour, and then having a nice feature clock to put on it. As for accessories, think of getting some indoor plants to breathe a little life into the room. The living room is all about creating a sense of welcoming and comfort. If you have a family, it’s going to be the one room where you’ll all be able to sit down together, watch some TV, and forget about the troubles of the day. For the living room, we would definitely suggest considering whether you need a new sofa set. They’re expensive we know, but they do last for years. If it is time for you, then a corner sofa should definitely be on your agenda. As for the decor, try and go a little fancy for once. Think of chandeliers, silver ornaments, and fancy wallpaper to set the tone.